This trolley is employed in conjunction with the Tower Hoist and has a span of 100 Ft. for its rails. 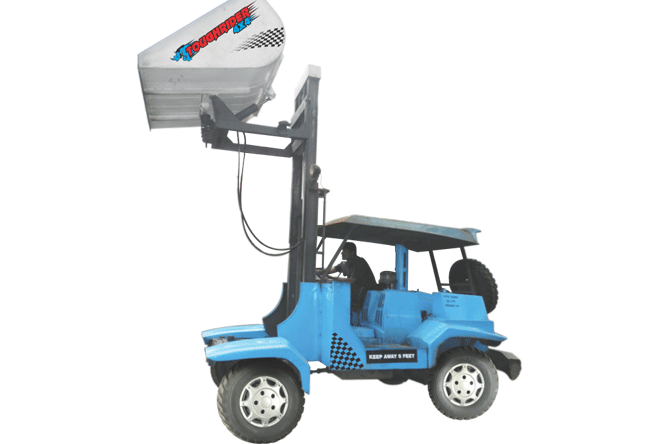 It is equipped with a swiveling mechanism which enables it to rotate in 360° about its centre axis, making discharge of material easier. Bucket Capacity – 0.3 Cu.Mt. 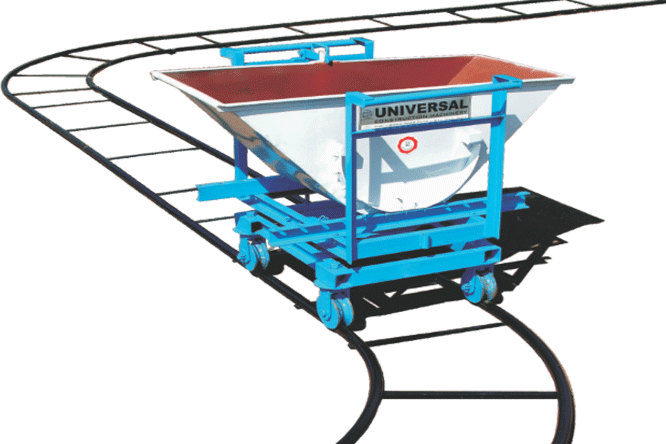 Trolley - 360° Swivel, 90° tilt on either side of discharge. Rails – Made in B-Class 40 mm Diameter pipes. 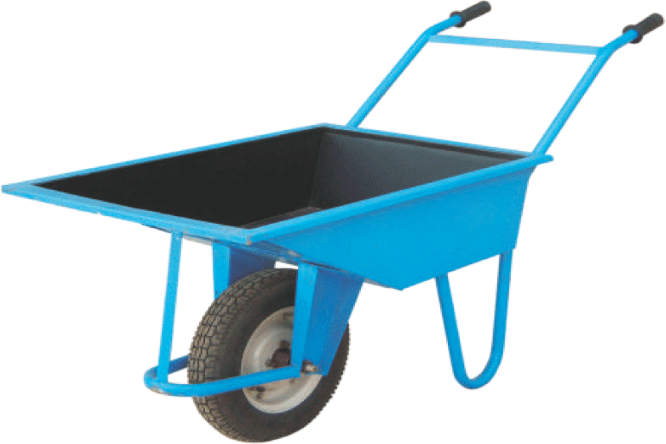 Wheels – Heavy Duty Wheels fitted with Ball Bearings.